A camping holiday is in the making. But when should you book your stay? Wait until the last minute or do it months in advance? Here are some tips that may be useful to you. 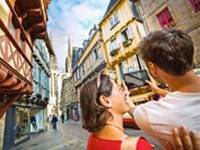 Today, let's discover Quimper, a beautiful city of art and history in South Finistère famous for its medieval heritage, its majestic cathedral, its fascinating museums and its Henriot faience factory.... Discovery! 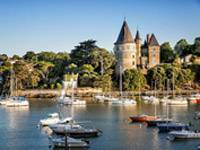 With its old port, its castle, its seaside villas, its famous pottery and its casino, Pornic is a lively city in the heart of the Pays de Retz in Loire-Atlantique. This is the camping destination we suggest you discover this month! 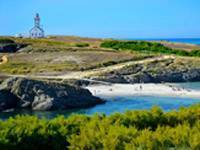 Today, CAMPING PLUS BRETAGNE takes you to discover Belle-Ile-en-Mer, the largest of the Breton islands, located 15 km off the Quiberon peninsula in Morbihan in South Brittany. Your camping holidays in the Bigouden Country, the Breton Wild West! 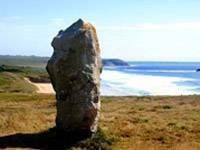 Do you know the Bigouden Country, this micro-country located at the end of Brittany in the south of Finistère? If we show you a picture of a Breton woman wearing a big headdress, it'll ring a bell. This is the camping destination we suggest you discover this month! 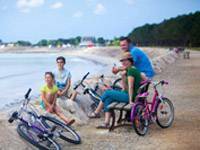 Looking for inspiration to choose the destination of your camping holiday in Morbihan? Discover a selection of 7 magical places where it is good to settle down! 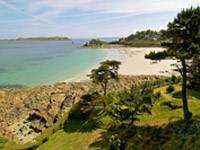 Overview of Brittany's beaches and campsites by the sea! 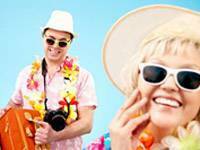 When you think of summer holidays, you think sun, beaches and fine sand! And Brittany is the perfect destination to spend a dream stay by the sea. To help you make your choice, CAMPING PLUS BRETAGNE tells you more about the prettiest Breton beaches! Take advantage of your camping holidays to visit the Brocéliande forest, the mythical heart of Brittany. On the borders of Ille-et-Vilaine and Morbihan, discover the tomb of Merlin, the Val sans Retour, the Miroir aux fées and the other legendary sites of this magical forest! Located at the end of the world, the Pointe du Raz is one of the most beautiful natural sites in Brittany. A masterpiece of nature labelled "Grand site de France" in Southern Finistère, it is a paradise for hikers and lovers of wild and enchanting landscapes. 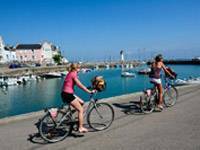 Brittany by bike is more than 1500 km of cycle routes! 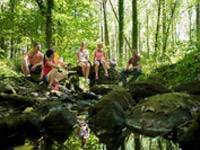 Discover our ideas to organize your hikes, escapades and bike rides during your camping holidays in Brittany. 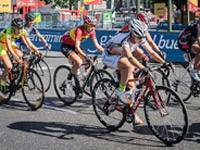 Among the major events not to be missed this summer is the Tour de France in Brittany from 10 to 13 July 2018. Discover everything you need to know about the Breton stages, experience the event in the heart of the race and visit Brittany! 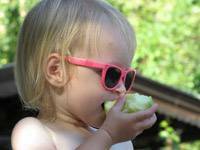 Why don’t you book your next camping holiday in Brittany ? 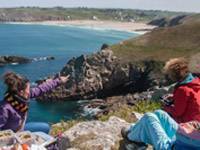 Every month the blog on CAMPING PLUS BRETAGNE website will help you discover new horizons that only Brittany can offer. Escape and explore ! 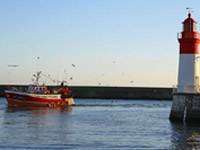 The Breton riviera… does it ring a bell ? 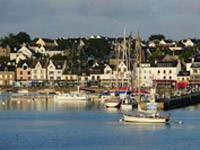 CAMPING PLUS BRETAGNE recommends a trip to explore Fouesnant on the Cornouaille coast between Concarneau and Bénodet. 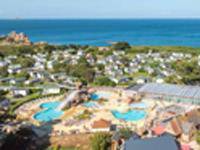 One of the most popular coastal resorts in southern Finistère ! 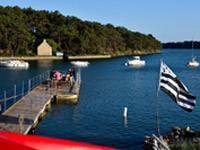 3 good reasons to choose Baden in the Gulf of Morbihan for your camping holiday ! Things you probably don’t know about Carnac and its standing stones ! 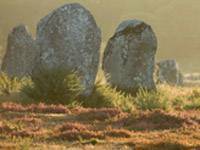 Here are a few stories and historic facts about Carnac stones in Morbihan in southern Brittany. Not so long ago, you could set up camp in your caravan or picnic with your family at the foot of the menhirs ! Why is Perros-Guirec a dream destination for campers ? 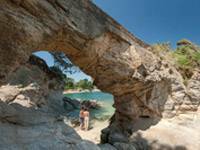 For many campers, Perros-Guirec is the prettiest coastal resort on the Pink Granite coast ! Just to give you an idea, thanks to CAMPING PLUS BRETAGNE, here’s your chance to discover one of the most magical places on the Côtes-d’Armor coast.